78 percent of respondents have had a 3D experience. Half of those surveyed are interested in watching 3D at home, with those who have seen a 3D movie recently more interested in purchasing than the overall sample. More than a third of those surveyed expect 3D TV within 12 months. A significant majority would be interested in changing their content provider in order to receive 3D content. Almost two-thirds stated 3D is a group experience. 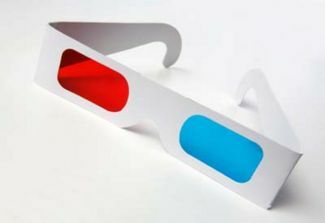 Consumers are willing to pay for 3D glasses but don’t expect to pay twice as much for two pair. Comcast was in the top three trusted 3D brands, along with CE manufacturers Samsung and Sony. In other 3D news, Video Business is reporting that the Blu-ray Disc Association has finalized and released its ‘Blu-ray 3D’ specification. The newly minted spec calls for every 3D Blu-ray product to be compatible with any 3D display, be it LCD, plasma or another tech. In-home 3D Blu-ray hardware and software are anticipated to start hitting the market next year, with many 3D-capable televisions and BD players expected to be announced at next month’s Consumer Electronics Show in Las Vegas. I hope you’re ready for 3D, Insiders, because it looks like 3D is ready for you. Do you anticipate adding a 3D setup to your home anytime soon? Is a market that hasn’t completely embraced the Blu-ray format over DVDs ready for yet another HD spec? Is a survey of 1,000 HDTV owners representative of the feelings of consumers at large? Finally, did you ever think you’d see “Comcast” and “trusted brands” together in the same sentence? Let us know what you think in the comments. What about Smell-O-Vision(tm), AromaRama(tm), Odorama(tm) and the best of all of ’em iSmell? In 1965, BBC TV played an April Fool’s Day joke on their viewers. The network aired an “interview” with a man who had invented a new technology called “Smellovision” that allowed viewers at home to experience aromas produced in the television studio. To demonstrate, the man chopped some onions and brewed a pot of coffee. Viewers called in to confirm that they had smelled the aromas that were “transmitted” through their television sets. In 2006, the iSmell was named one of the “25 Worst Tech Products of All Time” by PC World Magazine, which commented that “[f]ew products literally stink, but this one did–or at least it would have, had it progressed beyond the prototype stage. What percentage of 3-D viewers wind-up with a headache? If you showed people 3D on their TV and then Blu-Ray on their TV (assuming they have an HDTV), you would likely see numbers that are vastly different than what are claimed in the study. Would I like true 3D on my TV? Possibly. Would I like the 3D that you can get right now on my TV? Not a chance. Not interested. Conducting a poll of my friends, also not interested. 1) Nobody is interested in investing another large sum of money on hardware – most of us just got expensive HDTVs. 3) Most people rent/but dvd because it is the fastest way to see a film at home. Would cable/satellite be able to deliver a 3D version of a film as quickly as you could rent/buy a 2D version of the film – again – no way. I’ll pass on this one until it really is ready for the mainstream viewing audience. Until they can do away with the goofy 1950’s glasses….I’m good. Nothing more romantic than snuggling up with your partner with a movie and going in to make a move, only to be overcome with the thought of Screech with those spectacles. I’ll pass. The 3D movies I’ve seen in theaters this year had reasonable plastic glasses, not flimsy paper ones. And no more red-blue lenses, the newer technology uses polarizing filters to generate the 3D effect. But how many films really benefit from this technology? Once you get beyond the “that’s cool” factor, many (most?) films gain very little. If a film is showing at one theater with 3D and another without, at the same ticket price, I’ll see the 3D one. But except for a few titles I won’t pay more or go far out of my way to do so. In 1953, my brother Moe, Larry and I shot the following shorts in 3D: “Spooks!” and “Pardon my Backfire”. So much for *new* technology ;). The technology for showing 3D (and not just stereovision but true 3D) has been around for decades. Having it productized – that’s a different story. This is why meaningful content has never been available and why people are not too attracted to it. Whoever has truly experienced such content (and not the showcase IMAX flicks) knows the true value of 3D. I can’t wait for decent stereovision or 3D products. 3D will always be viable in a movie theater setting, but I just don’t ever see it becoming part of the HOME theater experience. The only 3D I like is RealD in the movie theatre. The next best thing is Blu-ray. 3D – I think I’ll pass on that one. Not sure about the quality of 3D in the home. But if Comcast says it’s good for me – it must be good for me. Yes, I agree. 3D is the wave of the future. I think the implementation of 3D technology will lead to a happy ending. Oh great! What am I supposed to do now with my new HDTV that I haven’t finished paying for? I don’t have a money-printing machine laying around anywhere. I’ve barely tapped into BD and they’re wanting me to switch to 3D? Well, after my headache subsides from the seizure-inducing 3D films, maybe John Carpenter could remake THEY LIVE. Please! Enough already!